Probably no one expected Prime Minister Saulius Skvernelis’ decision to replace three of his cabinet ministers – education and science, culture, as well as environment. Even President Dalia Grybauskaitė, to whom the PM intends to hand the dismissal documents, stated that she only has no doubt about the dismissal of Jurgita Petrauskienė, but regarding the other ministers’ unsuitability to hold office, she expects to hear arguments. S. Skvernelis spoke on this topic in LRT Television’s show Dienos Tema, lrt.lt writes. While many were surprised by the decision, including cabinet members, the ruling Lithuanian Farmer and Greens Union leader Ramūnas Karbauskis stated he knew everything ahead of time. 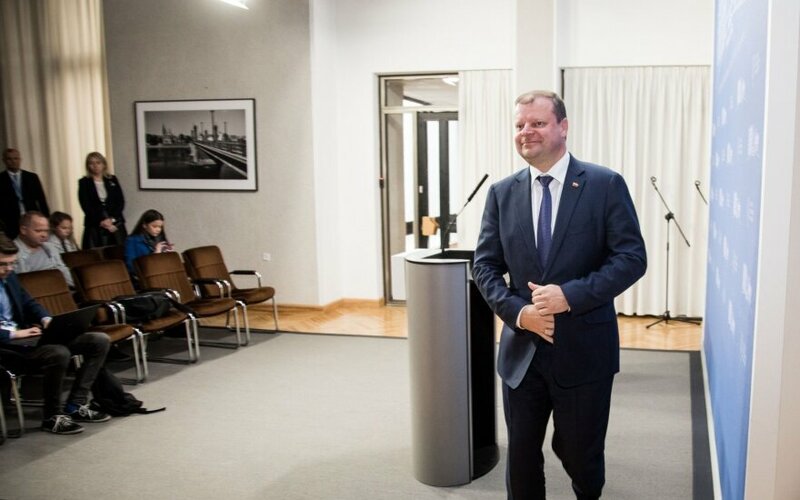 S. Skvernelis denies anyone having certain knowledge of the dismissals on Monday morning, though discussions were held for a number of weeks prior. "I was planning it perhaps after the presidential elections because the cabinet will have to return its authorization. However, the situation was such that we need to make strong, decisive decisions. They were made. I believe these areas need a "reboot", an impulse. They are not simple, the ministers, who worked so far put in effort, did much. Of course, the results were very different, if we are to look at the ministries, but sometimes such matters are inevitable," Prime Minister Saulius Skvernelis said, emphasizing that while various discussions were held, including within his Seimas group, on these matters, the final decision made on Monday was his. 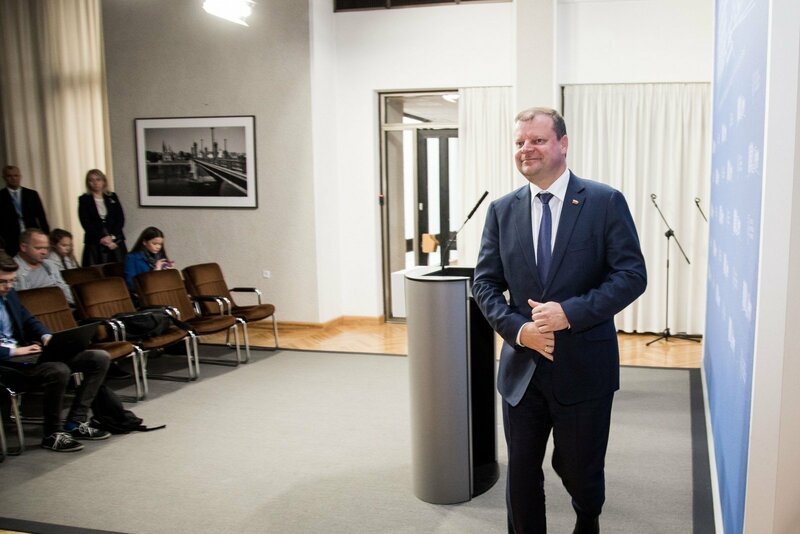 S. Skvernelis expressed confidence that if matters reach a point where a vote of confidence is held regarding the cabinet in Seimas, he would be able to win it and that this will be well portrayed by passing the most important legal act of the year – the state budget. While discontent with the minister of education has been well illustrated by ongoing teacher protests and sit-in at the Ministry of Education and Science, the dismissal of the ministers of culture and environment leave many questioning the reasoning of such moves. S. Skvernelis refused to go into details on why exactly these dismissals took place, only emphasizing that there was need for new momentum and these dismissals are expected to yield just that. Nevertheless, the PM refused to associate the dismissals with any specific event and also emphasized the ministers having done good work, even the minister of education, who has been the target of acute criticism as of late. While some teacher unions have signed agreements with the government and have ceased their protests, some remain, intent on continuing their sit-in at the Ministry of Education and Science as long as it takes. S. Skvernelis stresses that agreement has been reached with a number of teachers' unions and the demands of the remaining protesters are simply unfeasible under current circumstances. The prime minister notes that regarding the teachers, who continue to remain on strike, the government will be contacting the municipalities on ensuring the teaching process continues, be it by moving students to schools no longer on strike, merging schools or seeking replacement teachers. S. Skvernelis emphasizes that in the end, ensuring that teaching resumes is the responsibility of the municipalities, while the government is already doing all within its competence. He also notes that the teachers will not receive wages for the days they were on strike, with A. Navickas, their union representative stating that the teachers will be compensated by the union. Another minister, who has been the centre of controversy, Minister of Social Security and Labour Linas Kukuraitis, remains in his position despite protests and his own, Farmers and Greens Seimas group aiming to repeal his amendments on children's rights protection. In this respect, S. Skvernelis notes that the ongoing processes are proceeding well and only individual members of their Seimas group have sought repeals of L. Kukuraitis' amendments. When pushed to answer whether L. Kukuraitis is not at risk of the same fate as the other three ministers, S. Skvernelis only noted that no minister, including the prime minister can go to sleep certain that upon arriving at work in the morning, he will end the day in his post. The prime minister states that he has not yet decided on specific candidates to replace the dismissed ministers and only noted that the main criterion will be professionalism, not party affiliation and loyalty. While President Dalia Grybauskaitė has stated she was only convinced regarding the dismissal of the minister of education and science, S. Skvernelis is confident that he will be able to convince the president regarding the other two dismissals and notes that in the end, it is within the prime minister's authority to enact such dismissals.